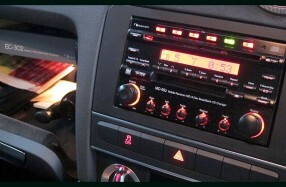 German Maestro CS 6508 for front doors, custom crossovers for dash tweeters. German Maestro CC 5008 for rear fill. Acoustic treatment of bass enclosures. 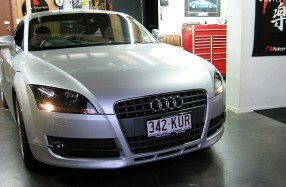 Modified for red illumination to suit Audi. Add more power to drive a higher quality speaker system. 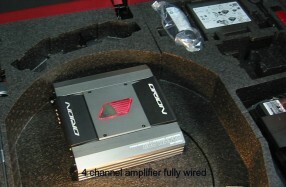 Orion 4 channel amplifier hidden underneath luggage compartment. Soundproofing and custom crossovers for an accurate sound.